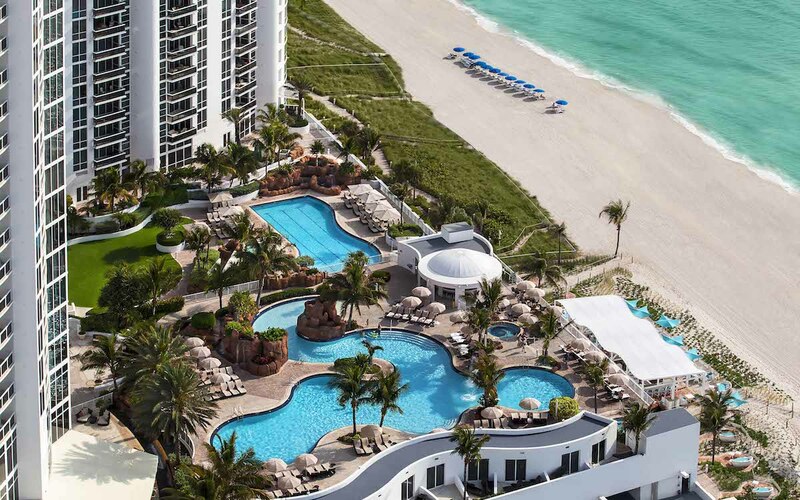 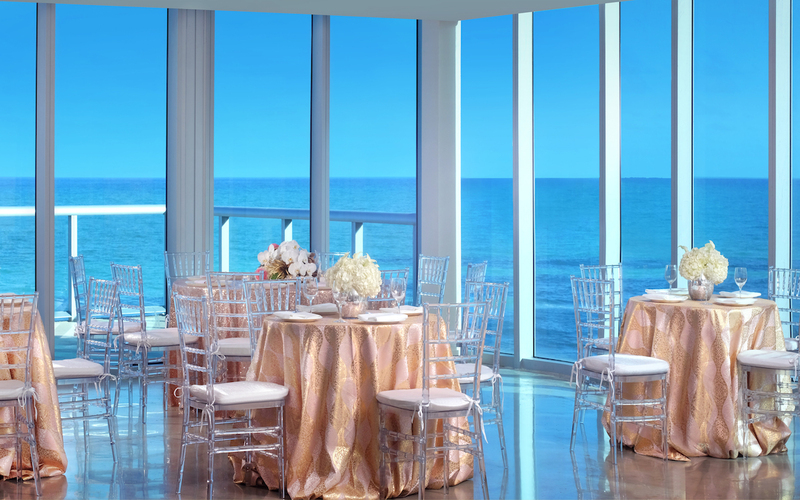 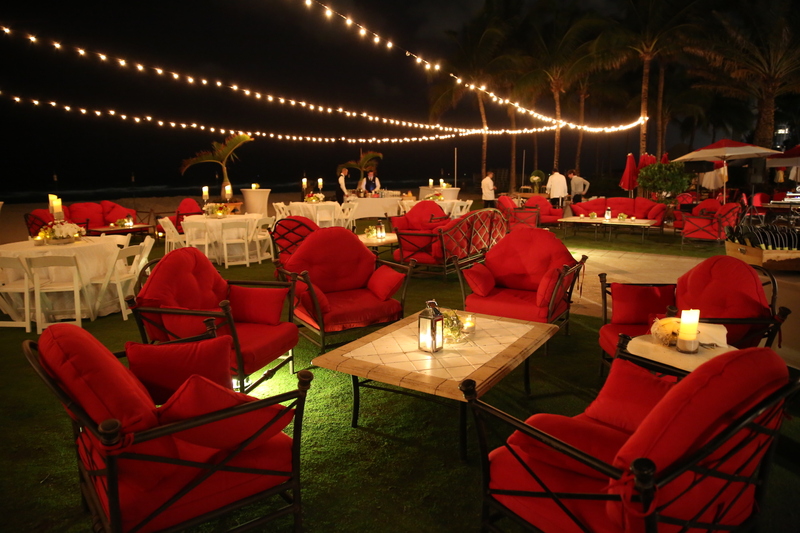 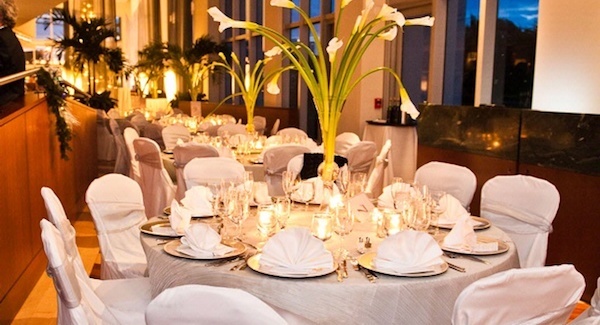 Plan your dream wedding with an Atlantic Ocean backdrop in beautiful Sunny Isles Beach Miami. 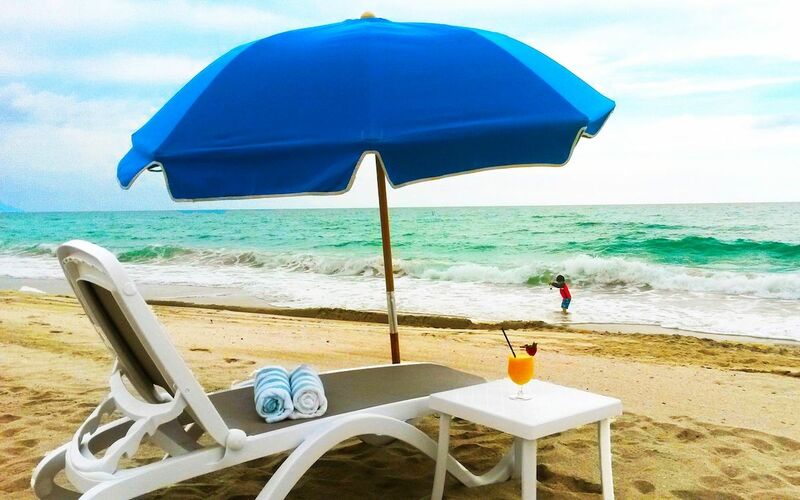 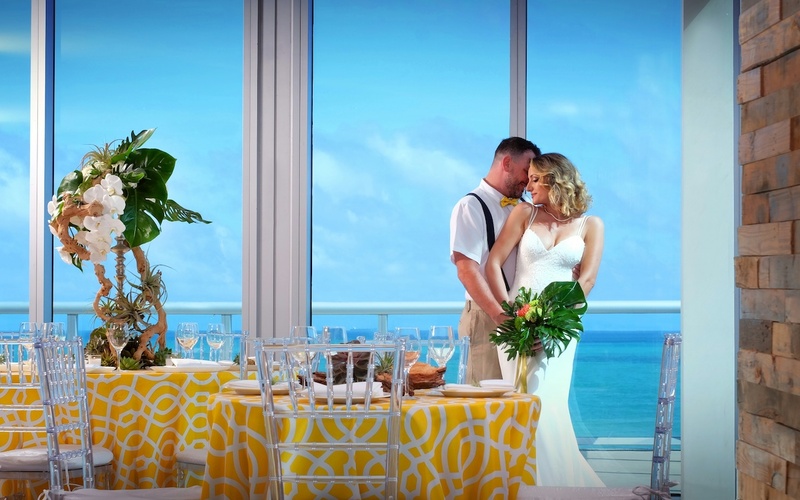 Situated on a one-mile stretch of chic, sandy, South Florida shoreline, top-rated Sunny Isles Beach resorts offer stunning views, world-class service and a variety of options for your special day. 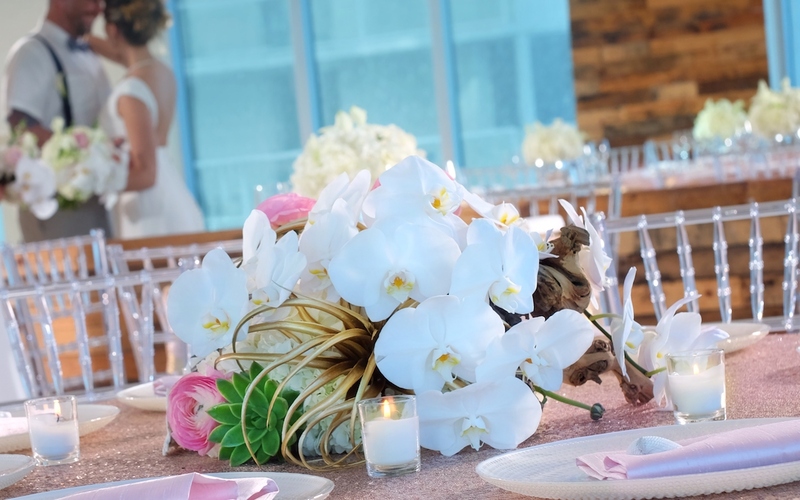 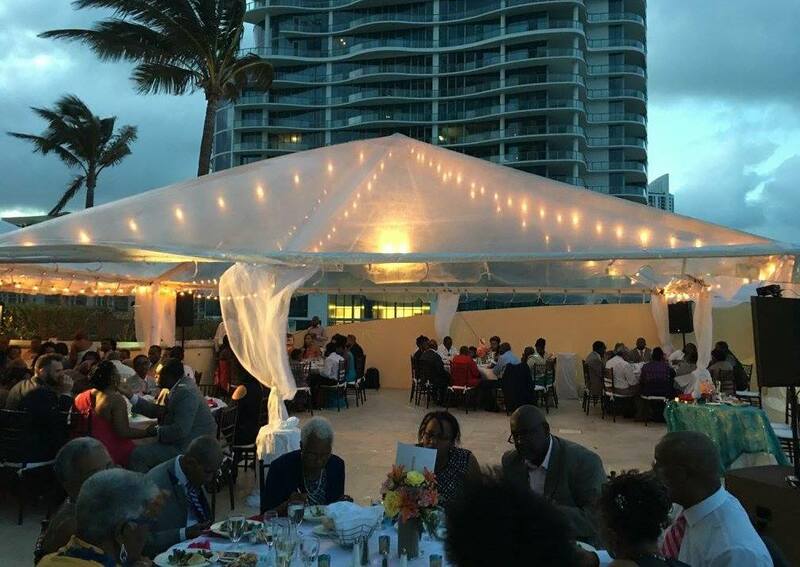 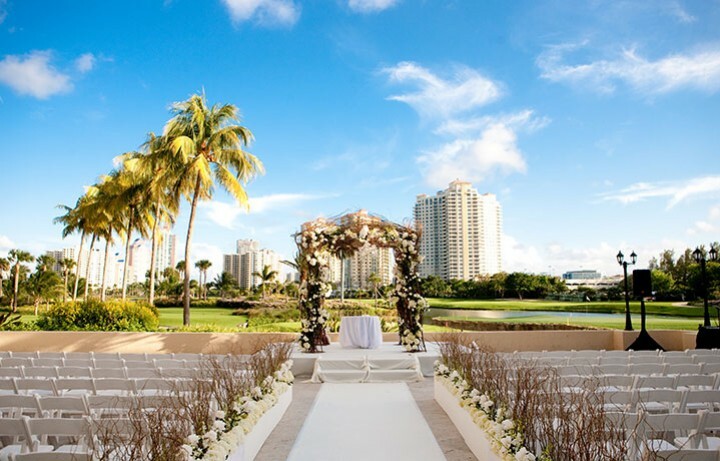 Whether an extravagant affair in a breathtaking ballroom or the oceanfront elegance of an intimate ceremony on the sand, Sunny Isles Beach is the ideal location for your destination wedding! 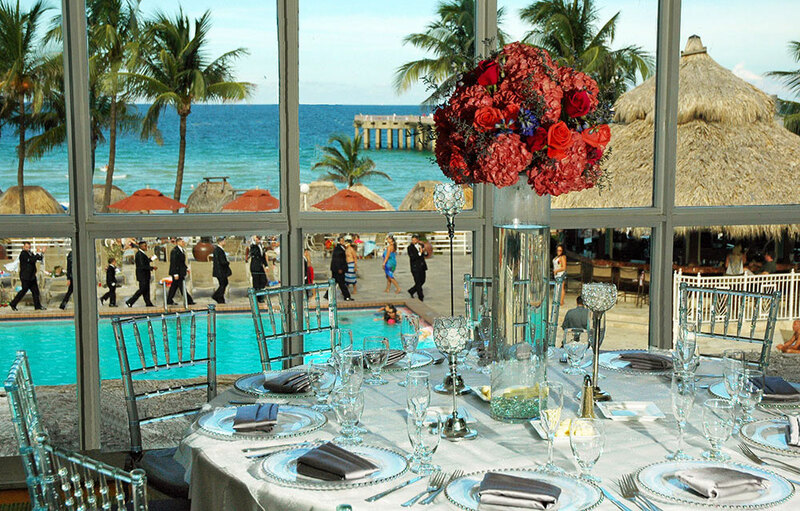 From a lavish ballroom affair to intimate beachfront vows, let us assist you in planning your perfect day. 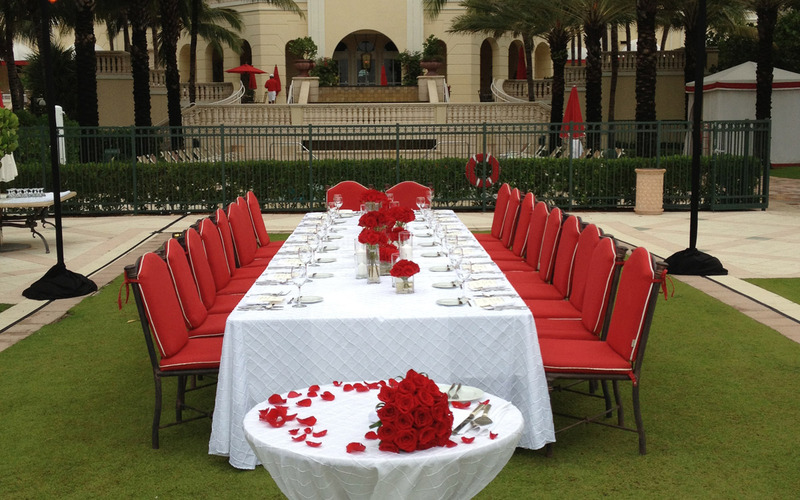 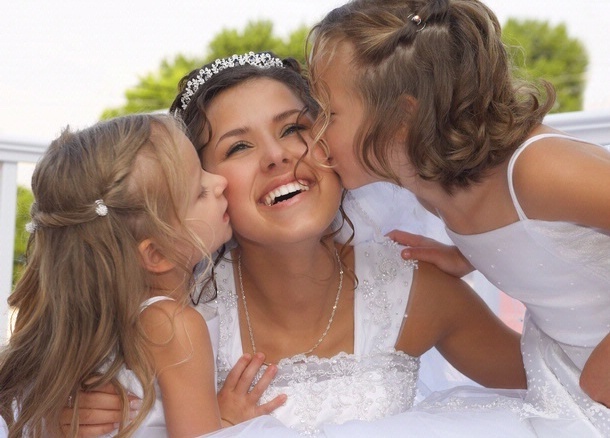 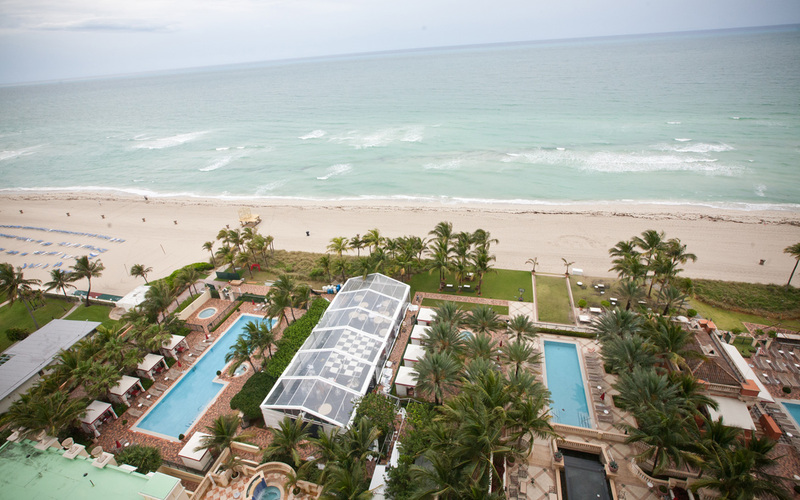 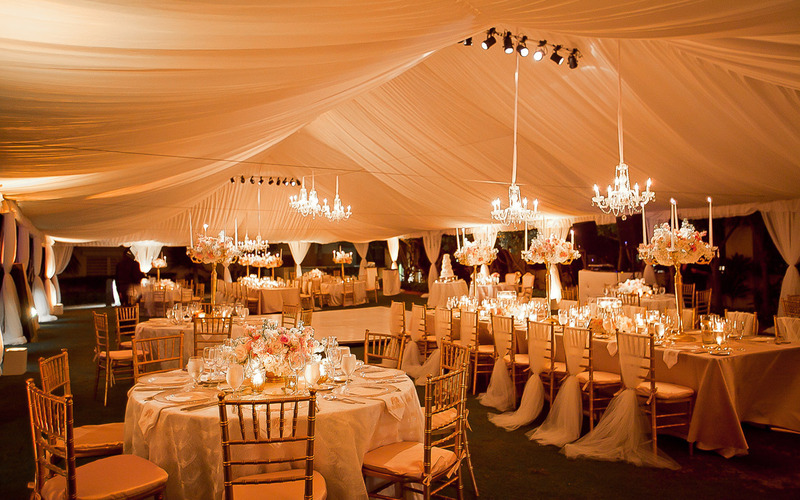 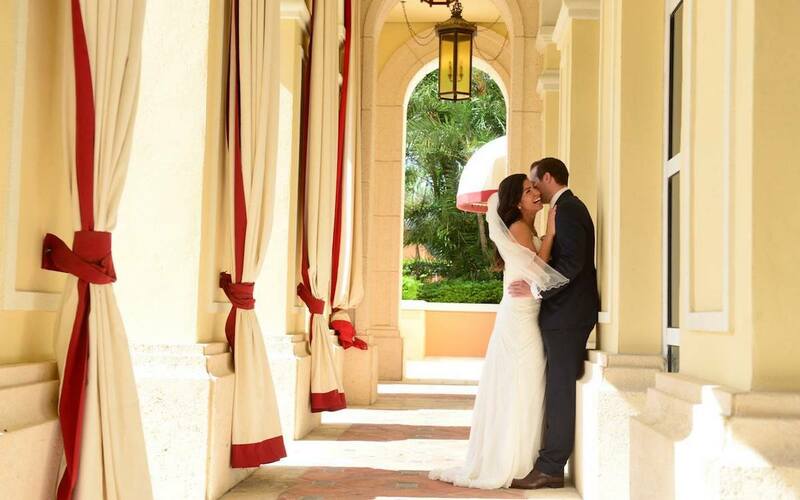 Discover South Florida’s most discerning wedding destination. 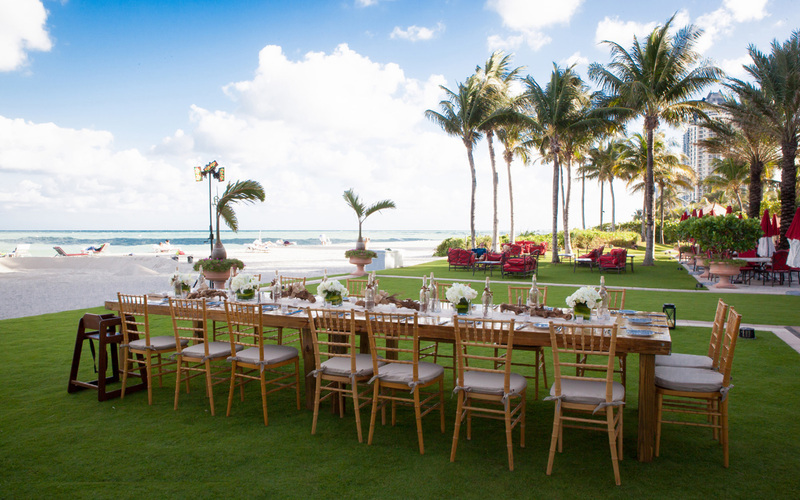 Situated on 4.5 beachfront acres with 400 ft of stunning Atlantic Ocean coastline, Acqualina Resort & Spa’s striking blend of old-world Mediterranean elegance and world-class services makes it the venue of choice for the selective bride and groom. 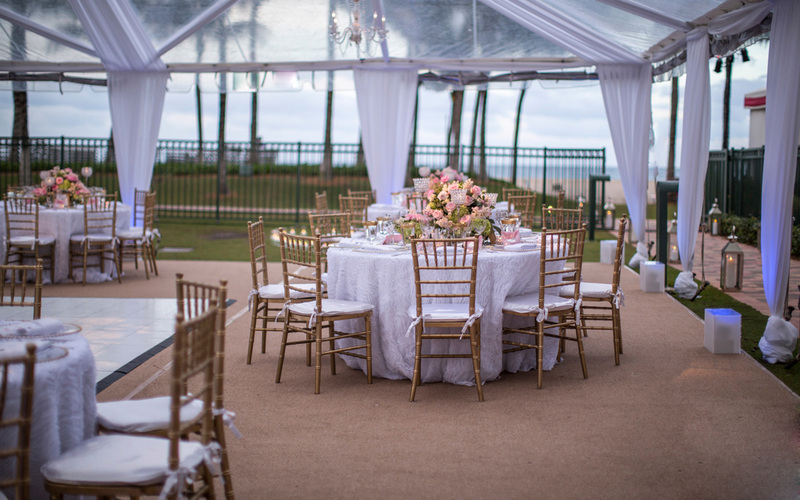 Providing an intimate environment with endless possibilities, our natural oceanfront beauty and grand architecture provide the perfect event settings, while our catering manager and professional staff deliver an unparalleled wedding experience for you and your guests. 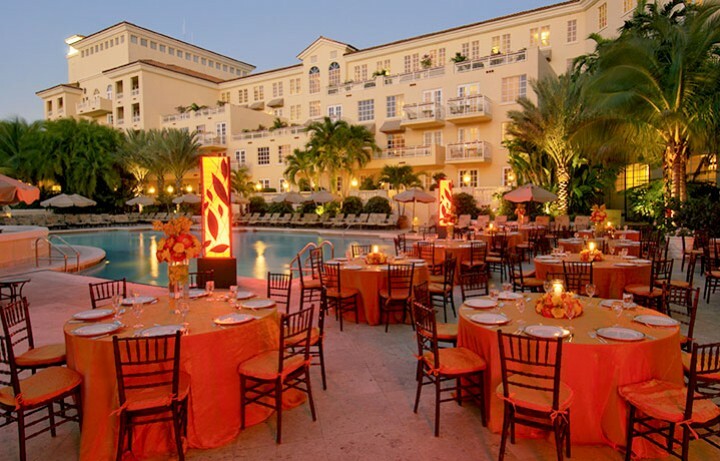 Whether you desire a small gathering or a lavish affair up to 150 guests, we host only one wedding on the property at a time to ensure an exclusive affair for you and your guests. 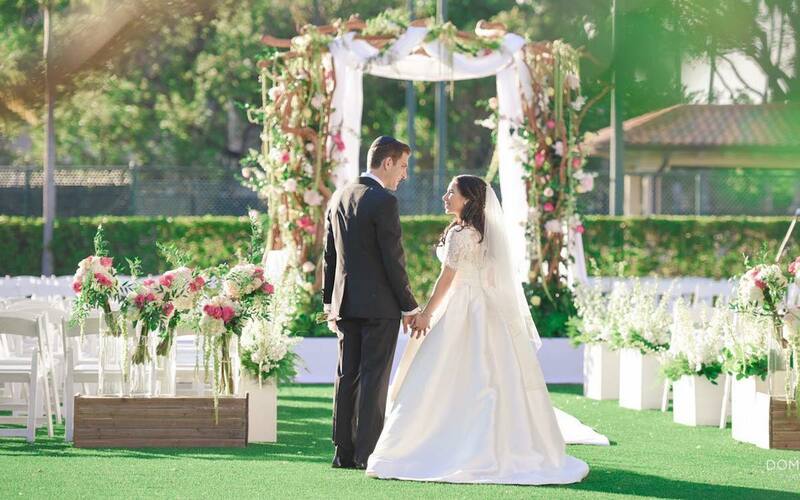 Create a day that reflects the life you plan together. 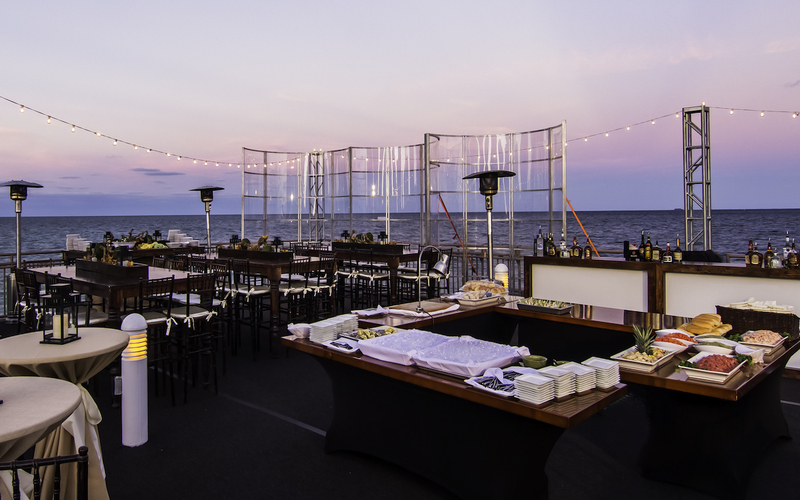 Whether you dream of an intimate reception, a casual outdoor luncheon or an elaborate banquet, you’ll find exactly what you are looking for at our panoramic oceanside site. 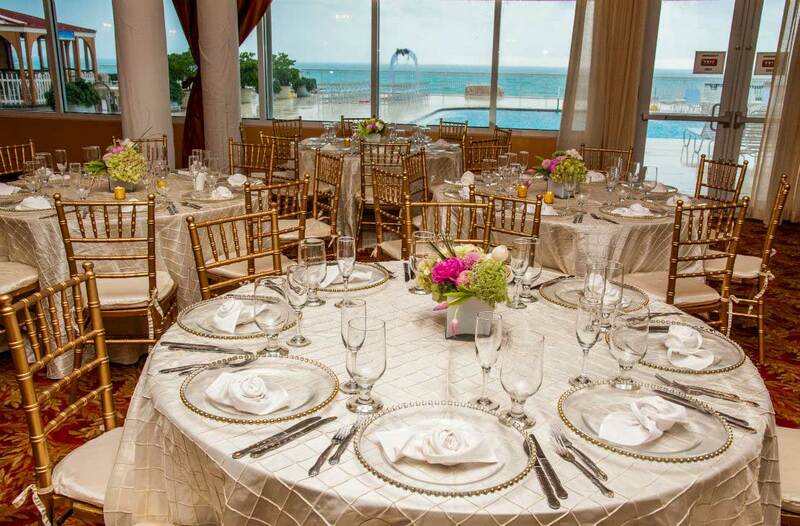 Our resort hotel, overlooking the Atlantic Ocean, gives you an array of wedding venues from which to choose. 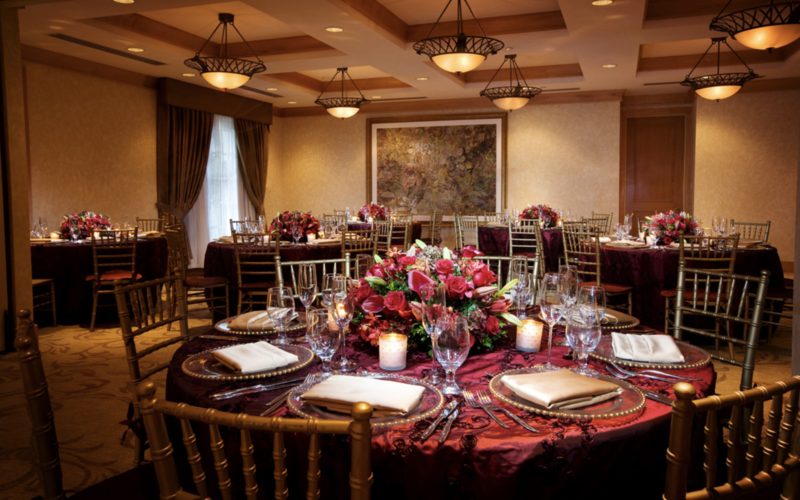 Allow our experienced wedding planning team to work with you to ensure everything is exactly as you wish, from exquisitely arranged reception rooms to extraordinary cuisine. 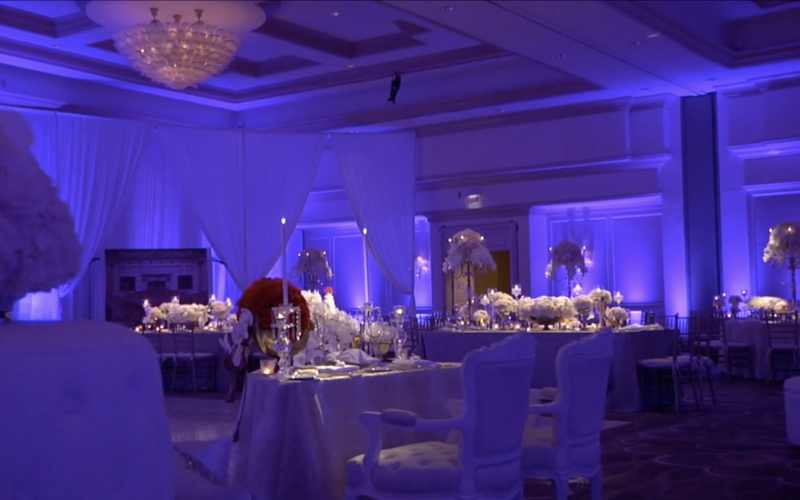 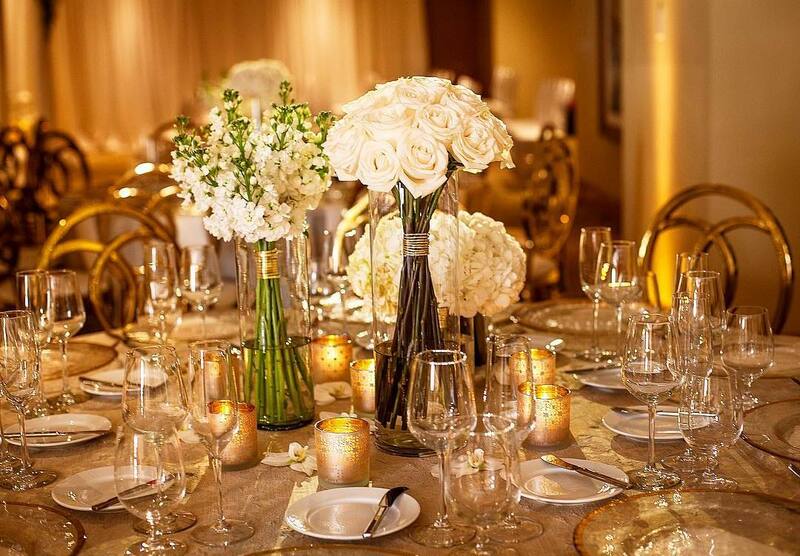 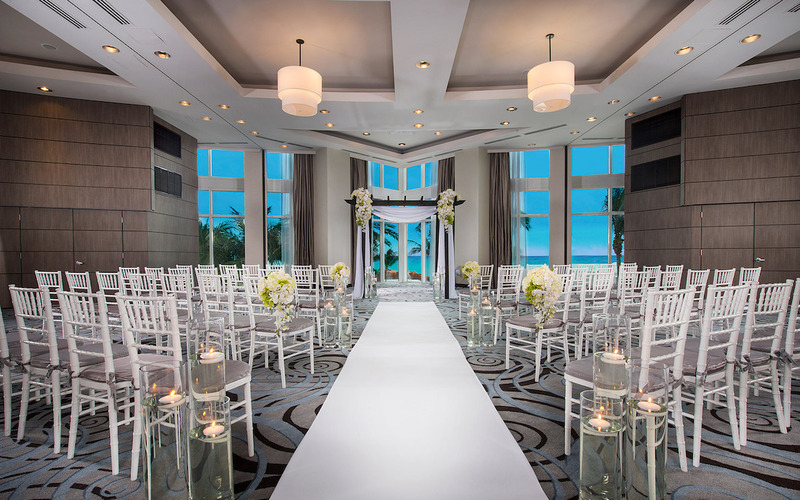 On your wedding day let Turnberry Isle Miami be the destination where your vision comes to life and memories begin. 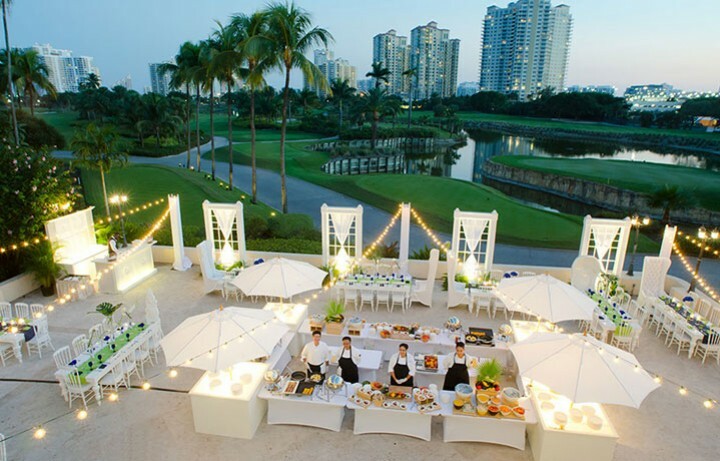 Transform your wedding into a weekend experience in our Aventura resort with sumptuous cuisine, luxurious spa therapies, or a round of golf on the resort’s greens. 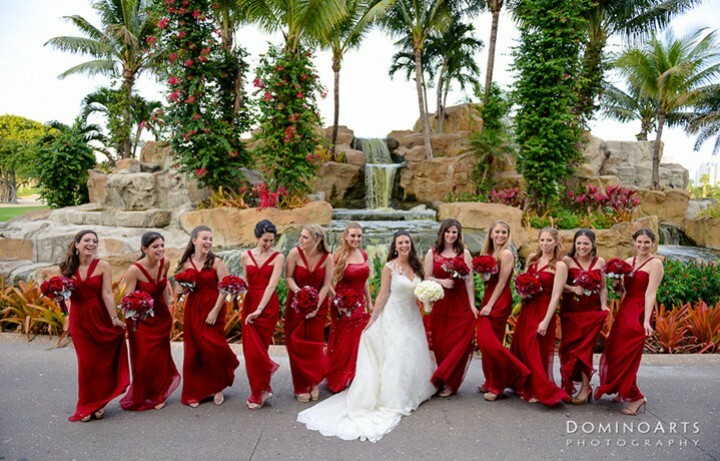 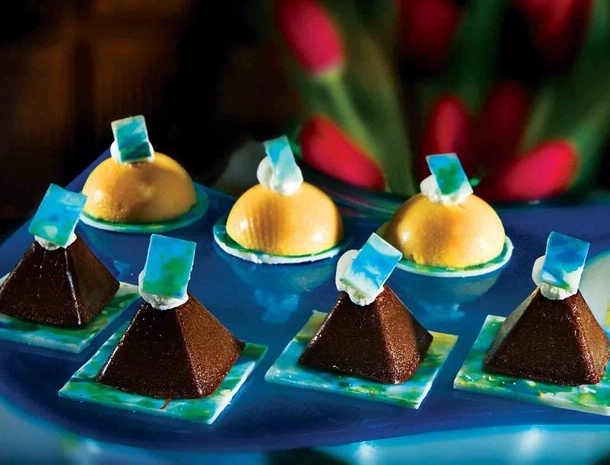 From the rehearsal dinner through a morning-after brunch or perhaps a simply elegant exchange of vows under a 100-year old Banyan tree, our 300-acre tropical oasis offers a captivating and romantic destination with endless possibilities. 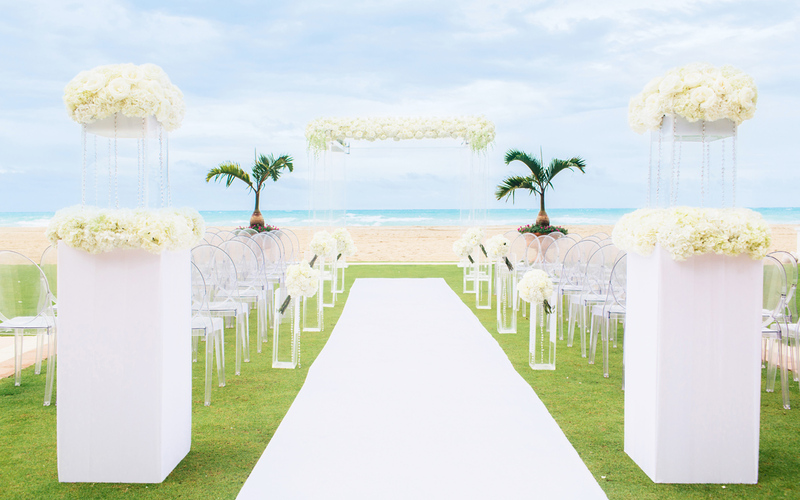 Experience a Marenas Beach Resort style-wedding with sand between your toes and the romantic sea breeze at your side. 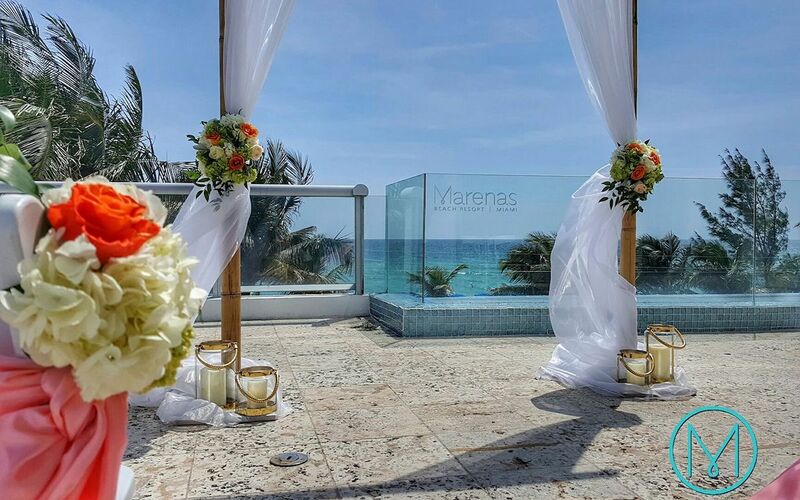 We transform occasions with the gorgeous views, delicious food and exceptional service that make Marenas so special. 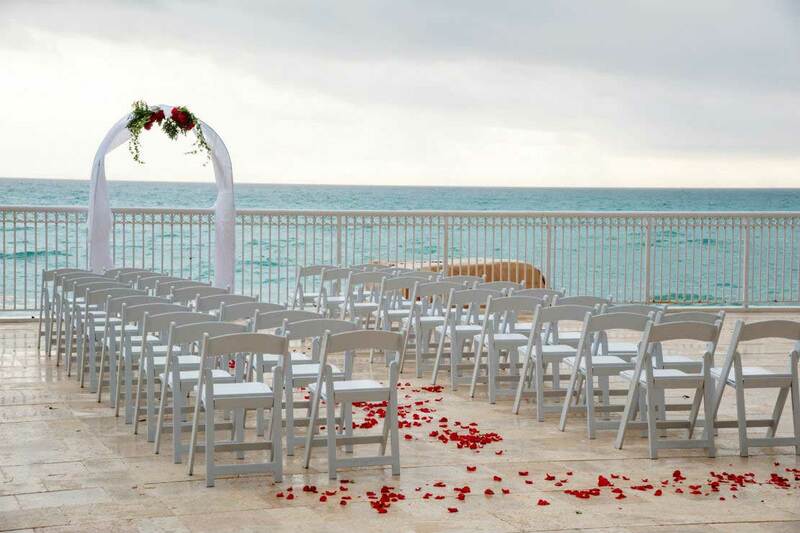 From ceremonies on our beautiful terrace overlooking the Atlantic Ocean, to our intimate Ocean Terrace room, Marenas Resort is one of the most romantic Florida beach wedding venues for your elegant wedding. 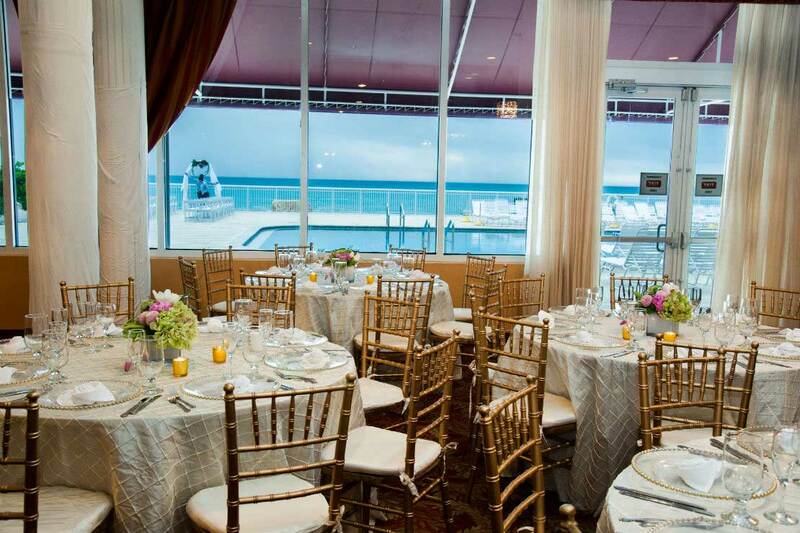 From our exceptional oceanfront setting to superb catering and upscale service, we’ll bring your dream wedding day to life! 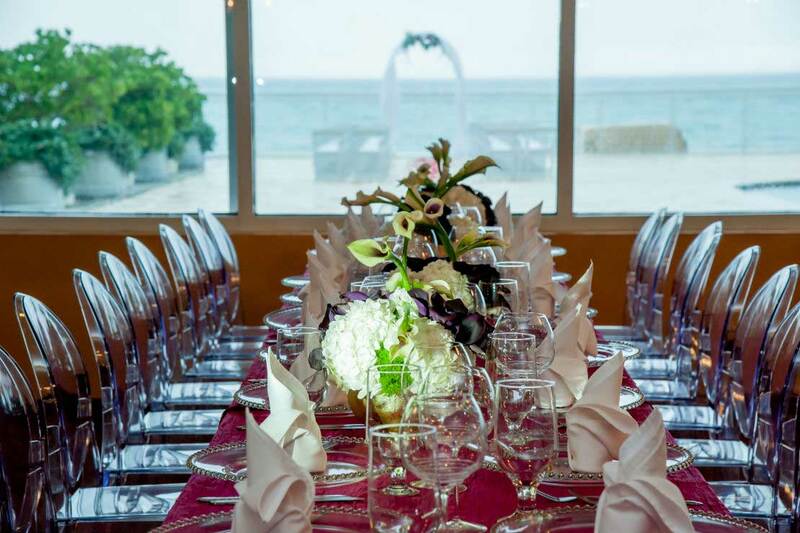 Imagine tying the knot on our white-sand stretch of beach with the Atlantic Ocean sparkling in the background or having these same views as the backdrop from inside our ocean-facing ballroom. 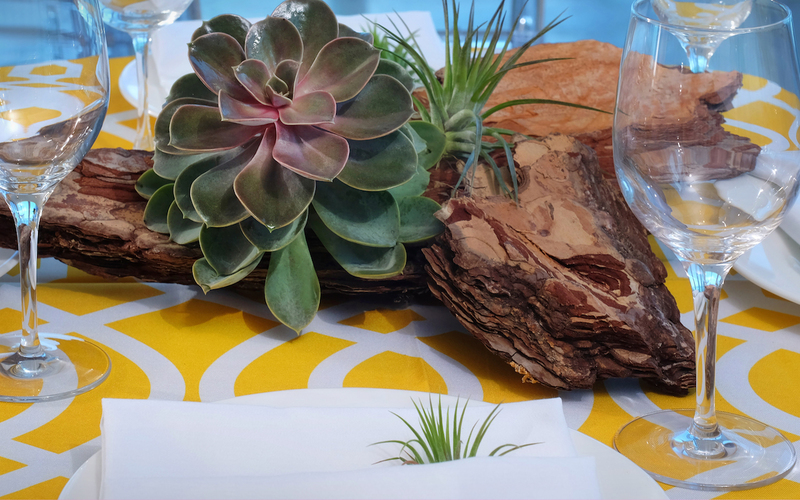 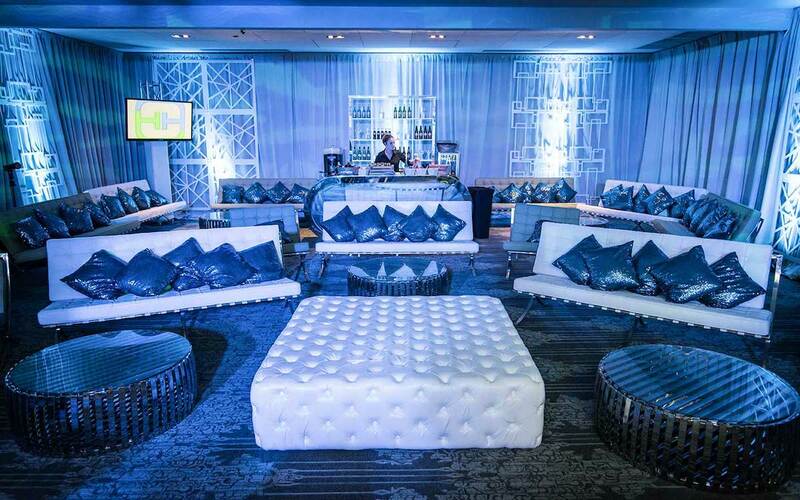 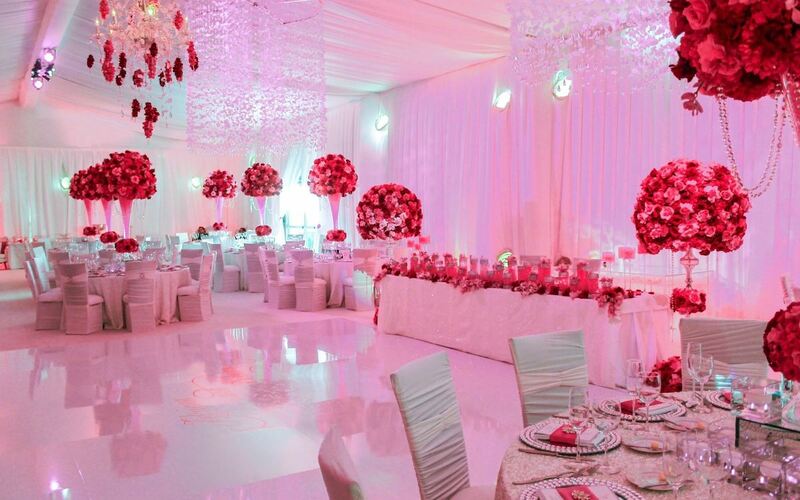 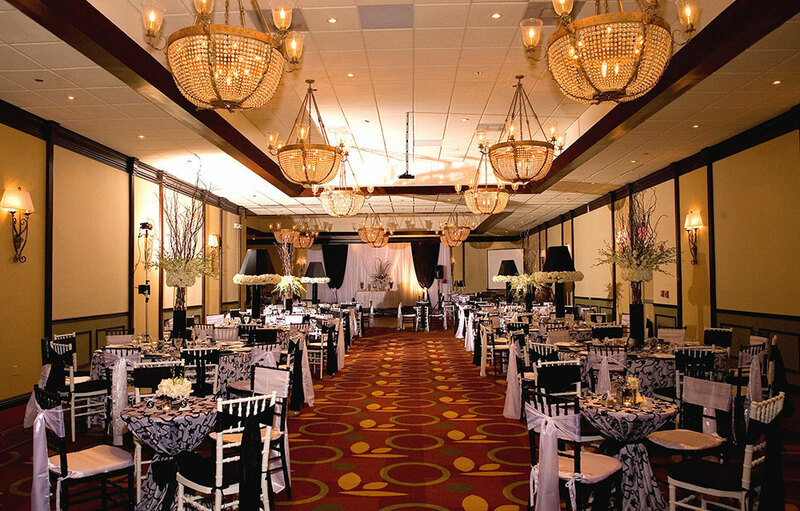 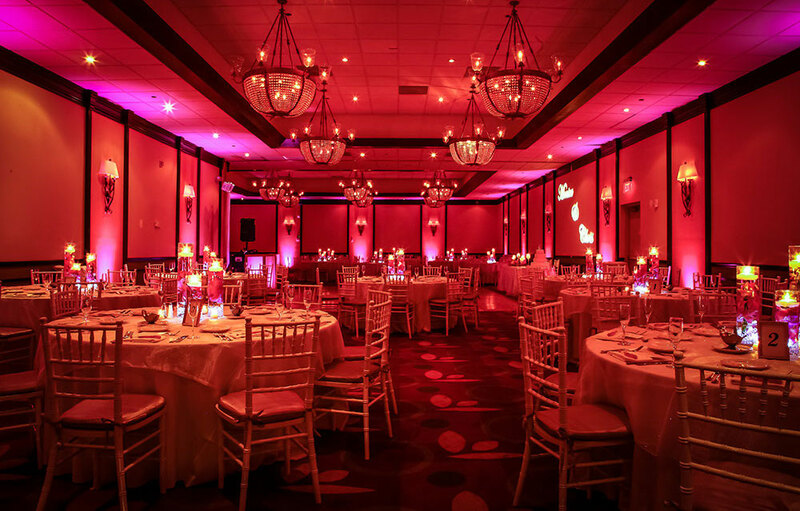 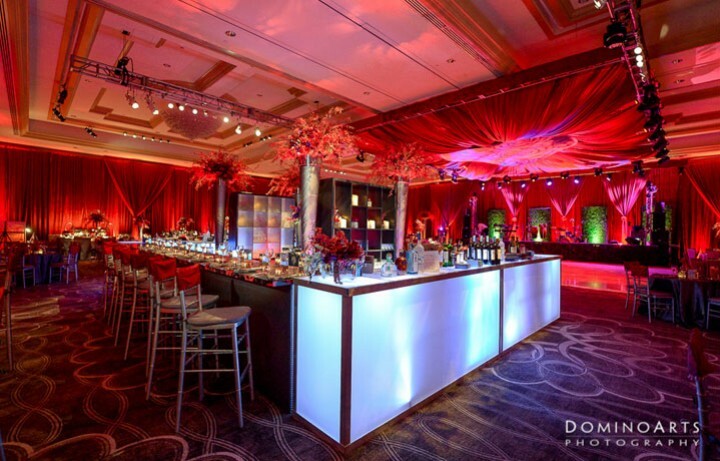 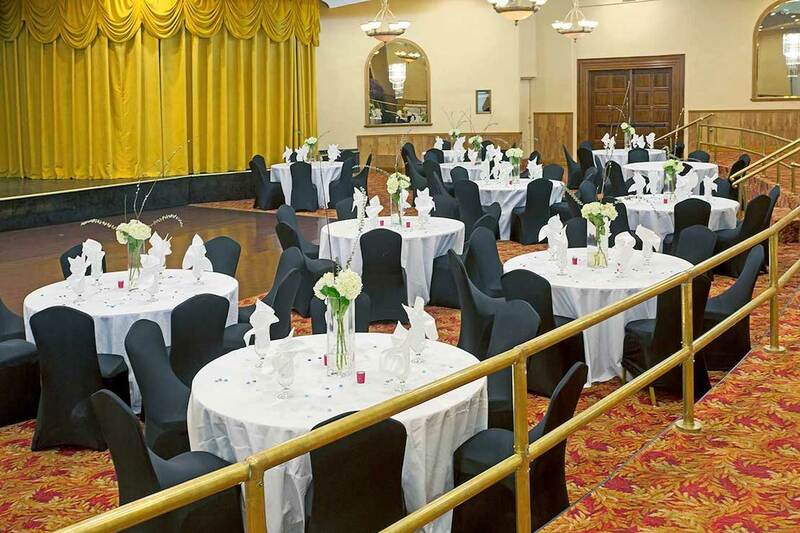 Whatever space you choose, we have one that’s perfect for you and our team will customize the space to your personal style, including the catering, decorations, flowers, live entertainment and anything else you may need. 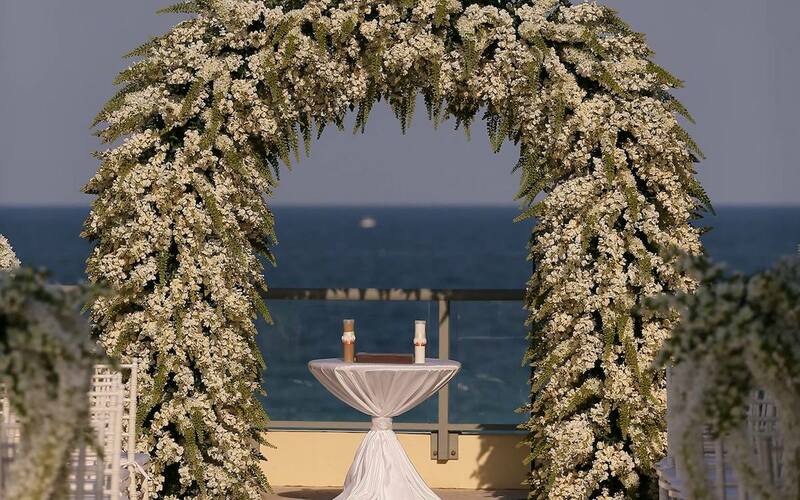 At the Marco Polo Beach Resort we have gorgeous outdoor spaces available for your wedding ceremony. 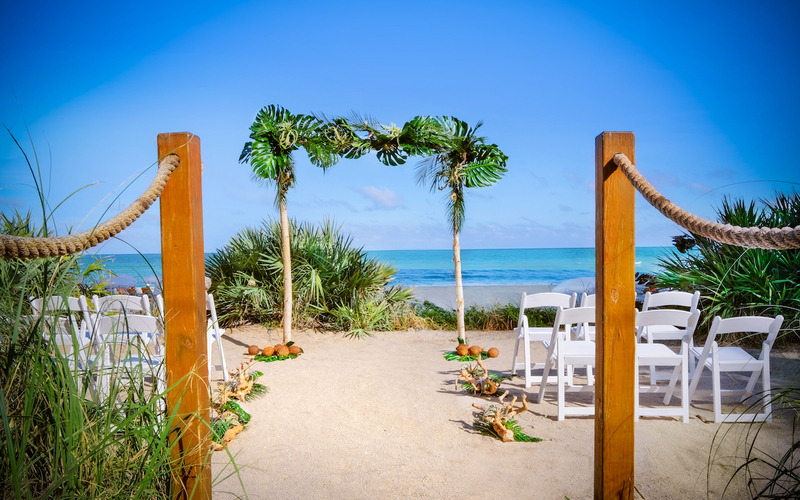 Our beachfront location offers beautiful sunsets and golden sandy beaches for a natural, simplistic ceremony that is both beautiful and romantic. 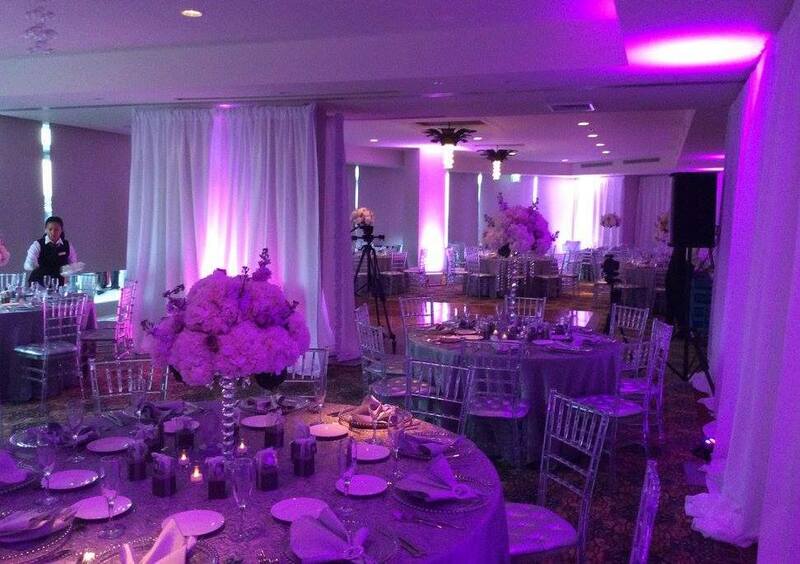 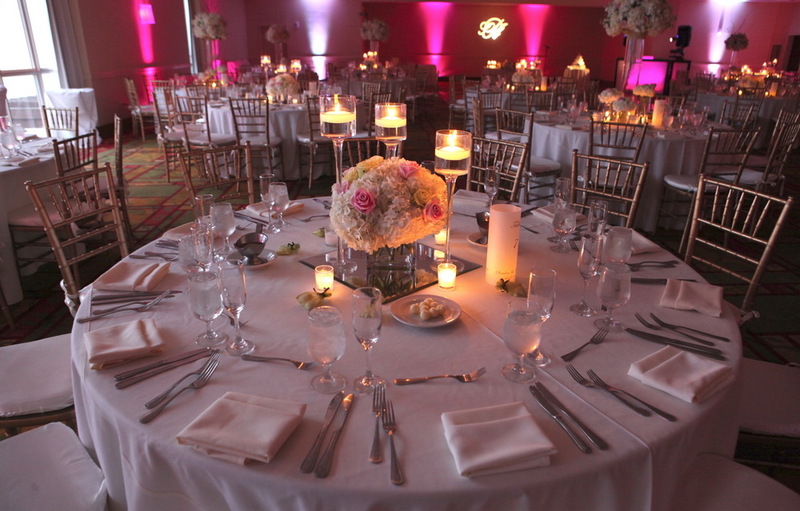 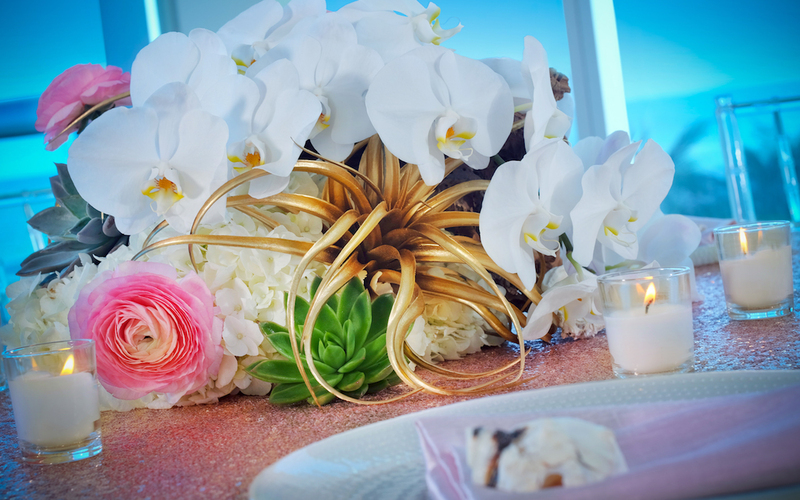 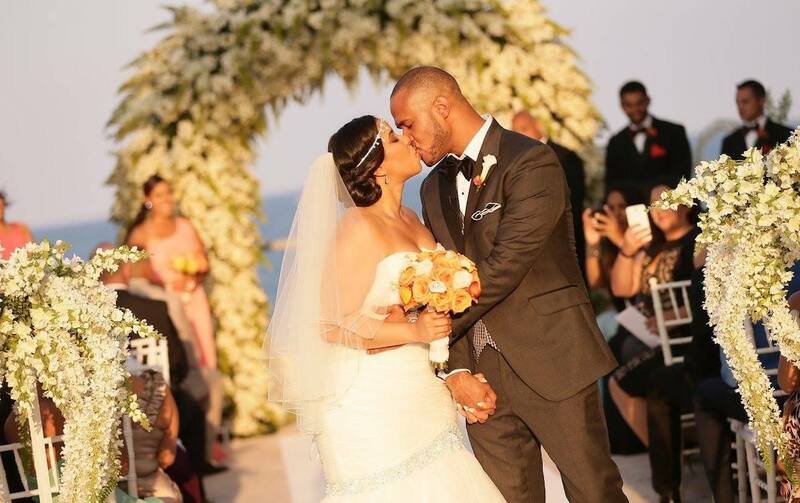 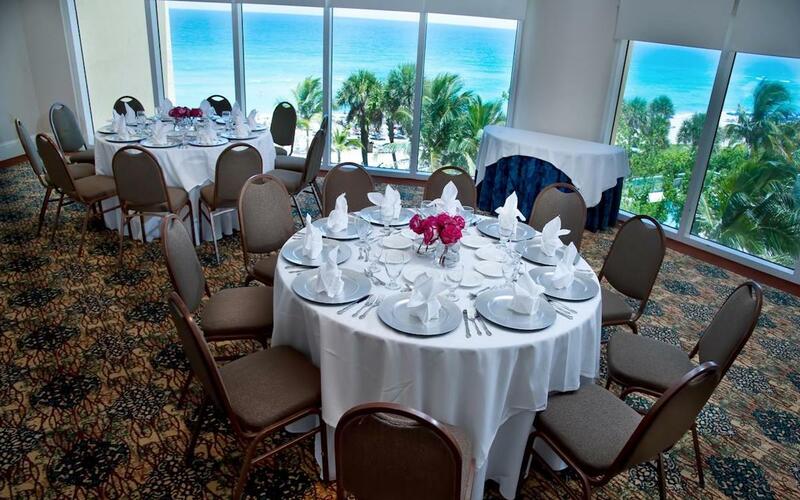 If you’ve dreamed of a wedding on the beach, our Sunny Isles Beach hotel is the perfect choice for you. 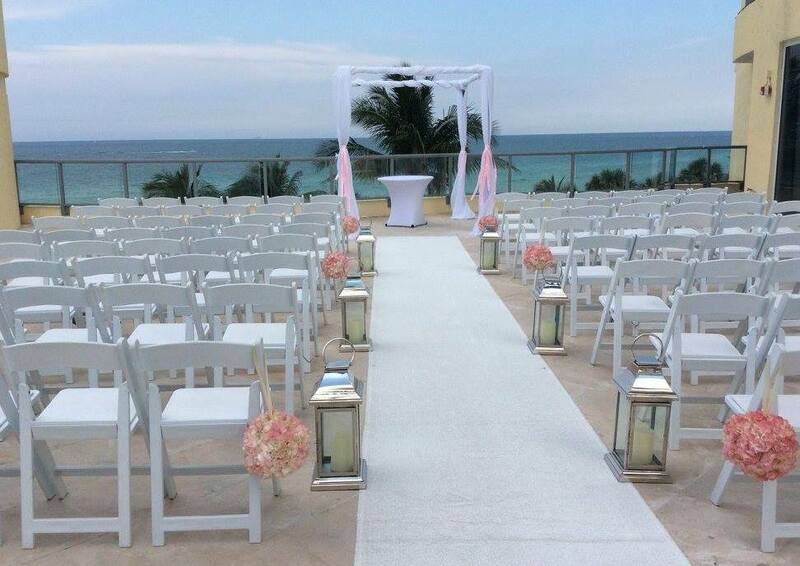 We promise a beachside ceremony that will be elegant and memorable. 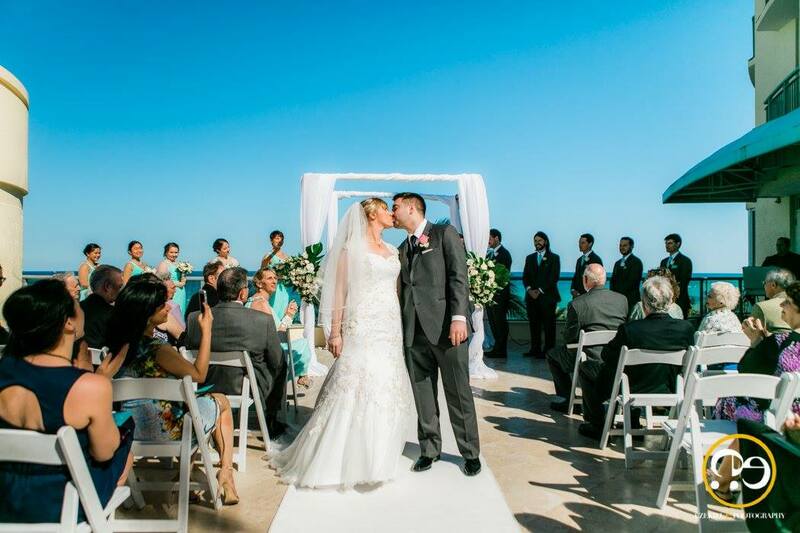 Another ceremony option is our oceanfront pool deck. 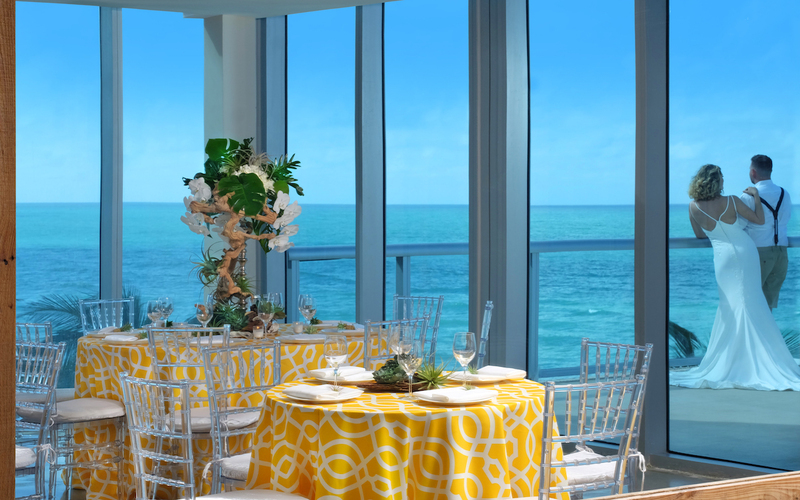 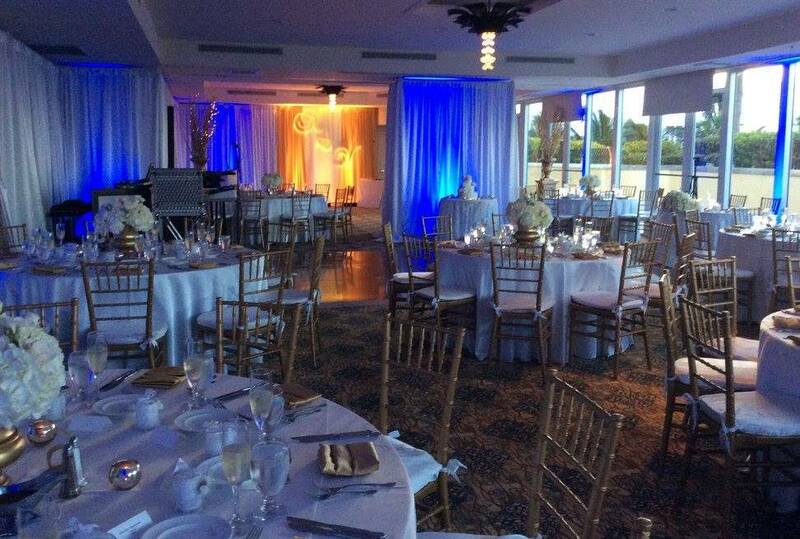 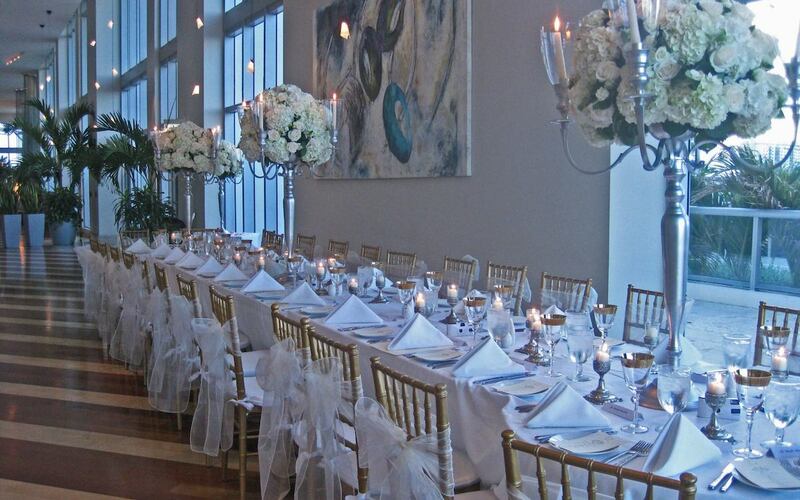 From here you will be surrounded by gorgeous, sweeping views of the Atlantic Ocean as you both take your vows. 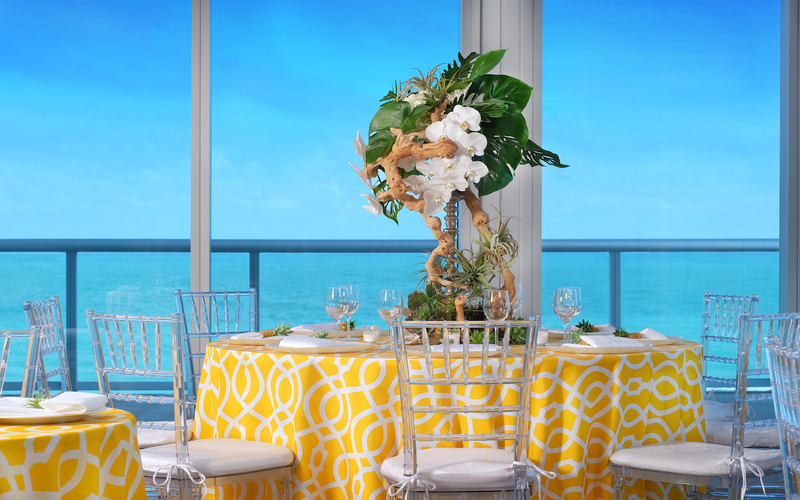 With this stunning backdrop, it will be a moment to remember. 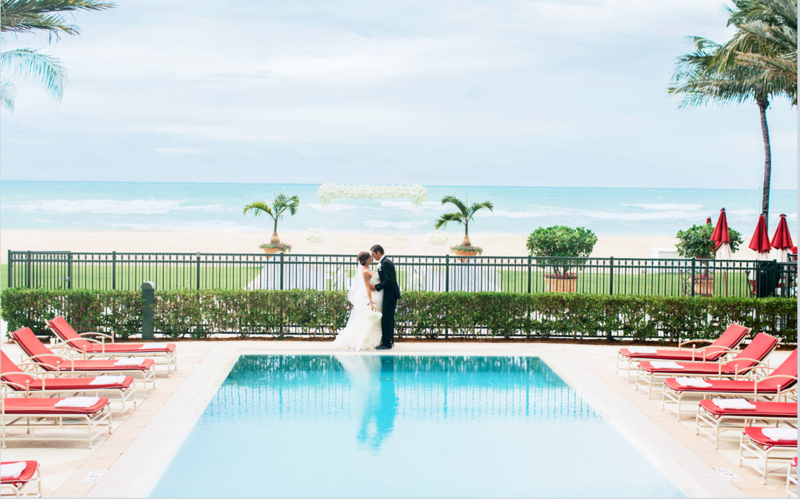 Solé on the Ocean beach resort is the perfect location for your beach-side wedding. 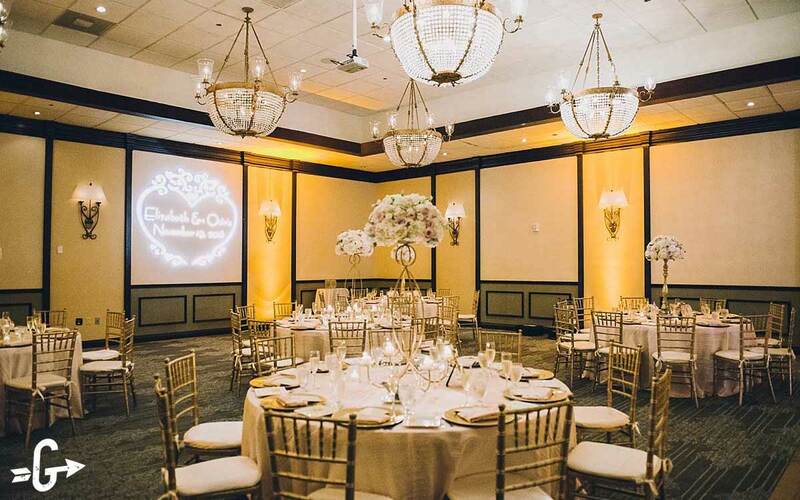 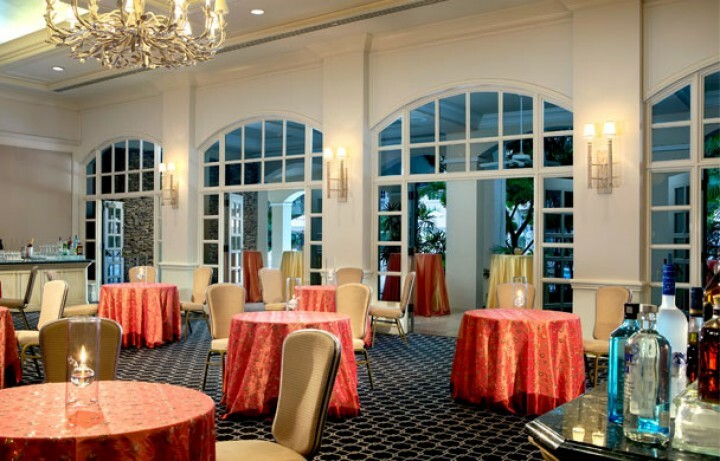 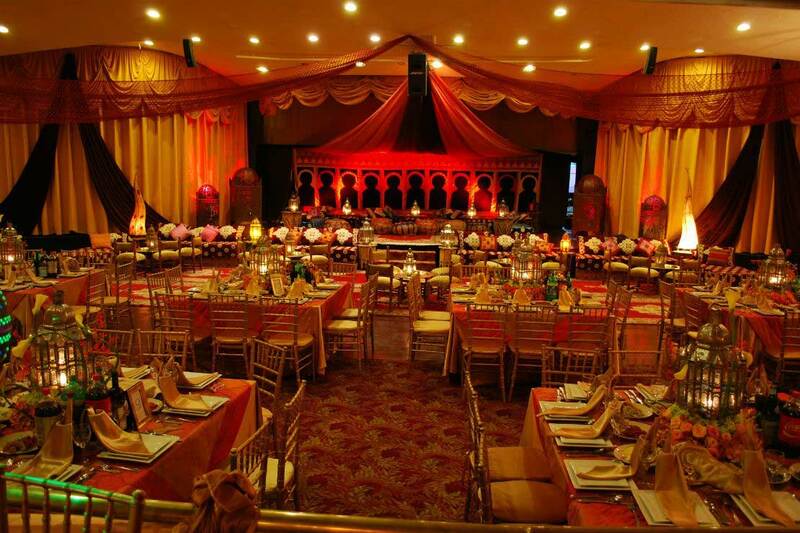 Whether you envision an intimate ceremony surrounded by close family and friends or an elegant reception for up to 100 guests, you will not find a more unique location for your dream affair. 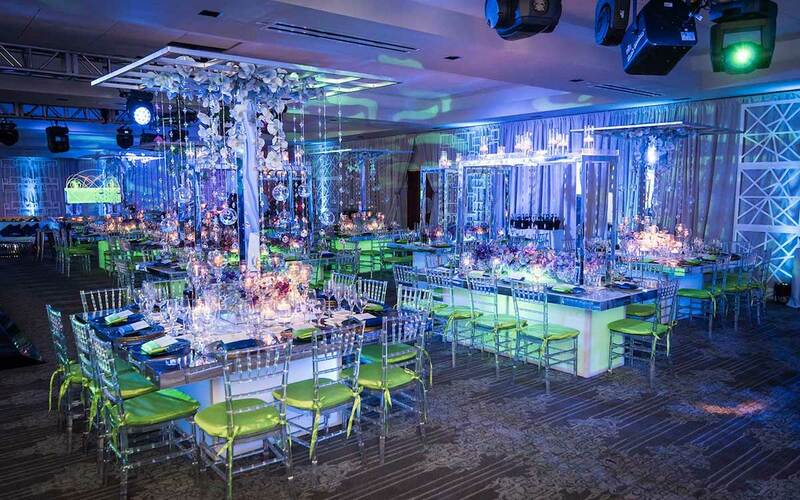 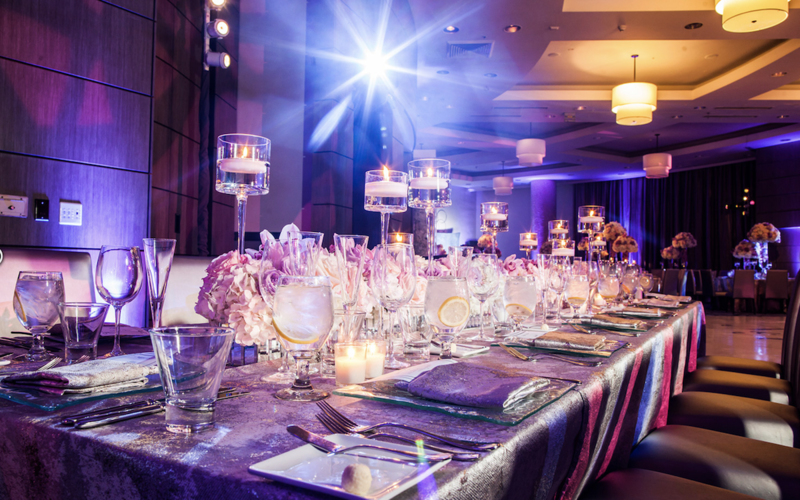 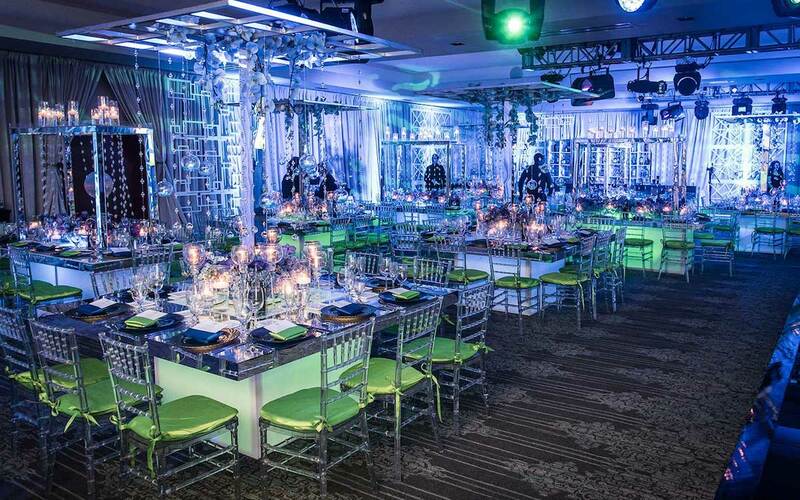 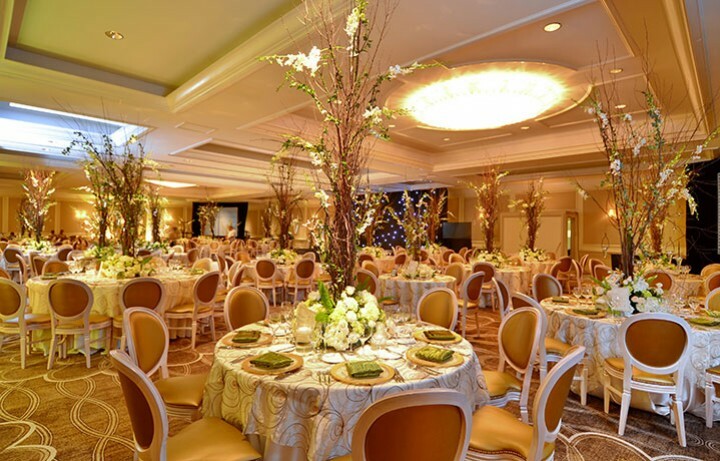 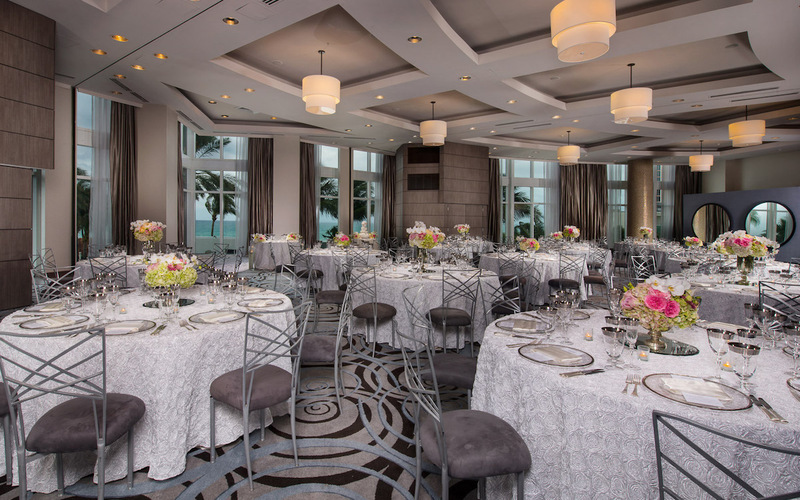 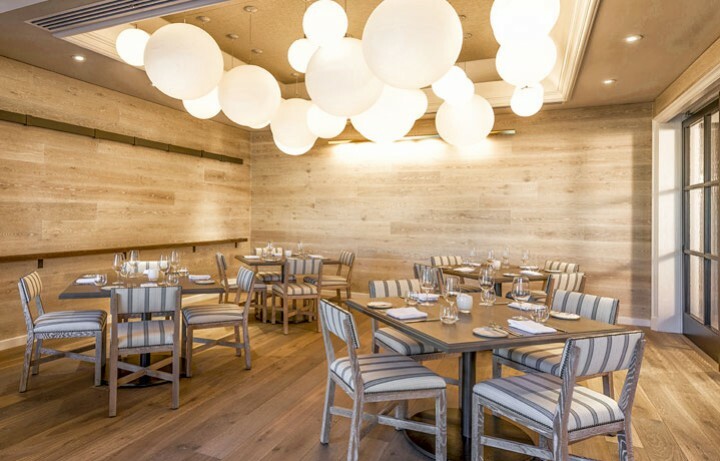 Whether you envision a gala wedding in an oceanfront ballroom or a chic and intimate ceremony on the sand, Trump International Beach Resort Miami offers captivating spaces indoors and out – each a true reflection of Miami’s romance and magic. 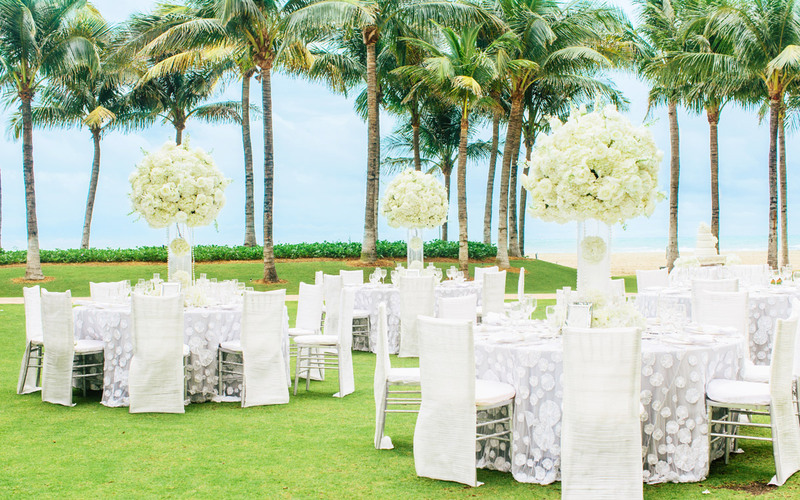 Exchange vows with your toes in the sand, say “I Do” amid the tropical splendor of our seaside pool terrace or dine and dance the night away in our grand Ocean Ballroom – wherever and whatever you choose, our expert Wedding Specialists will cater to your every wedding wish and whim.